It’s only been one day and I already have SO much I want to write about. Today, highlights from the sessions. Tomorrow, more in-depth focus on memory engrams. A book for those considering careers beyond the bench, recommended by MD Benton: So What Are You Going to Do With That? The Individual Development Plan or “myIDP” is an online tool on the ScienceCareers website. Set concrete goals and follow through here. BEST = Broadening Experience in Scientific Training – an NIH initiative helping train graduates for careers beyond the academy. I was delighted to learn that my own school UC Davis (represent!) happens to be one amongst 17 in the nation to be piloting this. The prison systems are overpopulated. Solitary confinement is deleterious and backfires in terms of recidivism. We need research to inform whether or not this practice continues or is recommended for termination. Lashley, the man who popularized the term “engram” came to the conclusion that the memory engram was specifically everywhere and nowhere at once. With more modern tools, we have been able to update this view – specifically showing that fear memories are sparsely coded and that they do indeed exist in specific areas. CREB is important because it helps regulate excitability of cells and thus the chances that they will/won’t be recruited into a memory engram. The formation of memory engrams is dependent on a competitive process. Or in the words of Sheena: The winning neurons are encouraging the loss of the losers. The winners are inhibiting the loser neurons. For a spoiler, see paper here. Or else, stay tuned, I’ll fill you in tomorrow. Hello from the skies! 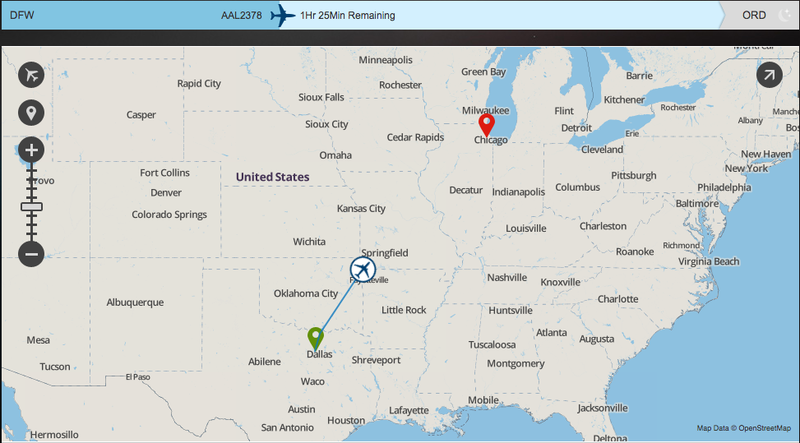 1 hour and 25 minutes left before touch down at ORD. Then, to a taxi. Then, to the hotel. Then, to sleep. Tomorrow: SFN, 2015. Chicago Edition. I’m excited and honored to be selected as an official blogger for the conference this year. Check out this year’s team of bloggers here. Of course, this list does not cover the many talented writers who will be active on social media this year (and there are many!) 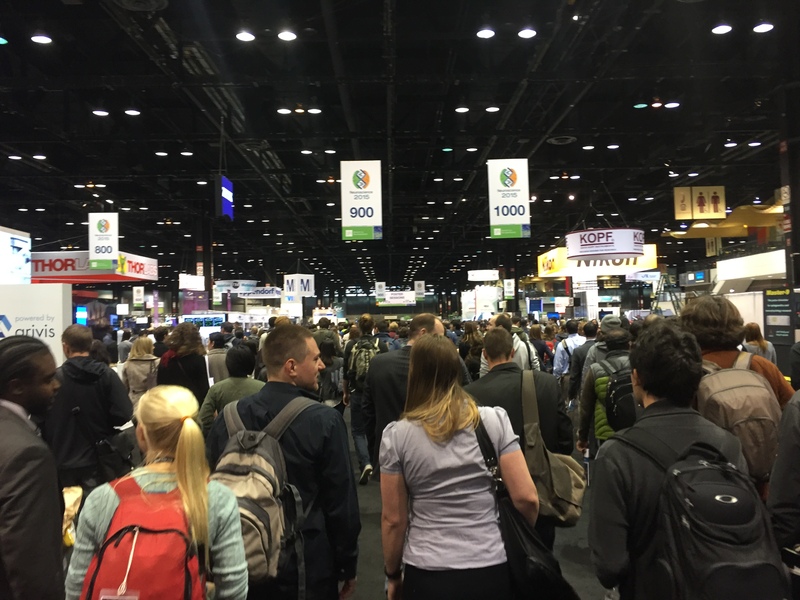 so be sure to explore the Twitter feeds using #sfn15 hashtag. I spent all of the last flight (from Sacramento to Dallas Forth-Worth) on the Neuroscience Meeting Planner working on my itinerary for the next few days. For those of you who have smartypants phones, don’t forget: there’s an app for that! If you create your itinerary on your computer, your phone will automatically sync your schedule for you. I’m looking forward to not toting around a canvas bag full of paper schedules this year. This will be a first. I began online networking and tweeting early. Turns out that social media is a much more powerful tool if you can engage yourself with the online community and participate in trending conversations. Or, non-trending if you’re a hipster tweeter. I used MakeSigns.com have my poster printed and sent ahead of me in Chicago. I present on Monday and my poster will be delivered to my hotel on Saturday. In case you think this is a luxurious option, it’s really not. The posters were affordable and the transaction was a smooth and pleasant process. One less thing to check? check. I used the Neuroscience Meeting Planner tool to create an itinerary ahead of time. Yes, I’ve done this before but this time: I didn’t add everything and anything that looked slightly of interest or include a single “but I probably should go to this” session on my list. This year, my itinerary only includes sessions that I am truly excited about, will help inform my own research, or develop me professionally. As my college biology teacher once told me, “there are only 24 hours in a day and this applies to everyone” To this I would add: and thus, spend your energy wisely. NB: Conference burnout is real. I did not pack a single pair of uncomfortable shoes. I just didn’t. I’m very happy about this. It was a hard earned (and blistery) lesson, but this year the lineup includes: my Sorel boots, Toms flats and cushy loafers. Sauconys were also packed to ensure that running does happen. I chose outfits that I feel good about. This may sound superficial, but damn, if we’ve learned anything from Stacy London it’s that what you wear actually does affect your mindset. I put the formal dress away and put together a nice pair of jeans, my favorite t-shirt and a jacket for poster day – because then: I won’t be thinking about my clothes. I’ll just be wearing them. When I talk about my science, I want it to be the only thing on my mind. I’ve been instructed to put my large, electronic device away. Until tomorrow. These days it seems that neuroscience and its fancy new tools are in the news — a lot. Coming off the heels of Obama’s BRAIN Initiative announcement in April 2013, this attention is entirely unsurprising and timely. From the extensively covered optogenetics, to the controversial and non-invasive method of transcranial direct stimulation (tDCS), to the science-fiction like promise of CLARITY (a 3D visualization technique of intact rodent brains), it seems that neuroscientists are unstoppable. With these technologies in hand, the relevant question has become: how do we most effectively implement these tools to answer the most pressing research questions of our society today? 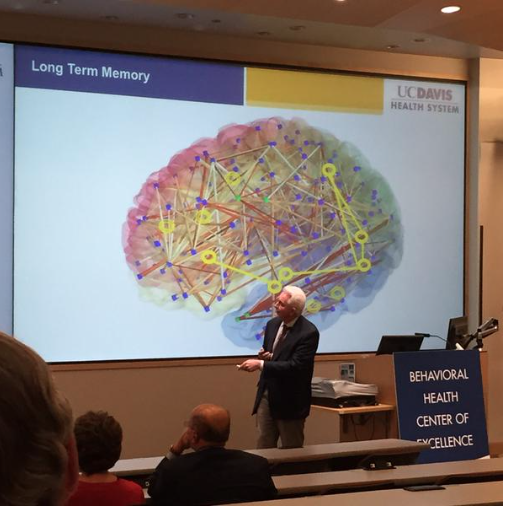 Dr. Cameron Carter, Director of the UC Davis Center for Neuroscience and UC Davis Imaging Research Center addressed some of these issues in a public lecture, this past Monday, at the UC Davis Health Center in Sacramento entitled Brain Research: New Discoveries and Breakthroughs at UC Davis. During the first half of the presentation, Dr. Carter reminded the audience that with 100 billion neurons and trillions of connections, constantly changing throughout a lifetime, what’s surprising isn’t that things can go wrong. What’s surprising is that the brain ever succeeds in coordinating as mundane a task as picking up a pencil in the first place. In fact, it’s at this intersection — of mental disease and mental health — that we, as researchers, are able to glean the most insight about the limits of our nervous system. This understanding is key to the development of novel, effective, deliverable therapies and early interventions. Furthermore, these therapies and evidence-based strategies can only have a real impact if they are appropriately disseminated to the community and mental health workers at the outset. In the past few months, the center put out a call for pilot research grant applications (awards were $200,000 each, totaling 4.3 million dollars). 65 applications were received and peer reviewed. 16 of them were funded. UCD Neuroscience Graduate students: you will recognize some of these names and faces. The awards funded questions and methods that spanned quite the range. The projects included: the use of sensitive calcium sensors (Drs. Karen Zito and Lin Tian), non-invasive tDCS (Dr. Charan Ranganath), electrical brain stimulation to enhance learning and memory (Dr. Evan Antzoulatos), the novel combination of ultrasound and fMRI (Dr. Katherine Ferrara), and the saavy use of smartphone apps to collect mental health data on patients (Dr. Tara Niendam). In a sense, these funded projects are a confirmation that enthusiasm for the novel development and application of neuroscience tools exists today. Yet, this initiative sets itself apart in its practical application of basic science to the real mental health problems we face as a society today. The atmosphere at yesterday’s lecture was primarily one of hope. This stands in contrast to the attitude in clinical brain research today, Dr. Carter explained to the audience. For the past few years, there has been a discrepancy between how much we’ve learned in neuroscience and how difficult it is to develop drug therapies despite this knowledge. So, what gives? There’s still hope, Dr. Carter urges. The more we learn about how brain circuits function, he explains, the more well-poised we are to develop therapies for when those circuits malfunction. “Let’s use this knowledge to fix the broken circuits,” said Dr. Carter. In essence, this is the exhortation shared by the BRAIN Initiative, the National Institute of Mental Health (NIMH), and the National Science Foundation (NSF). From this graduate student’s perspective, this can only be done effectively if policy makers, basic researchers and affected individuals in the community continue to communicate. For those interested in participating more directly in this conversation and learning more about the center’s iniatives, mark your calendars for the “Early Psychosis Symposium” planned for September 17th, 2015 at the UC Davis Health System, Sacramento Education Building, 4610 X Street Lecture Hall 2222. A copy of the agenda can be found here. 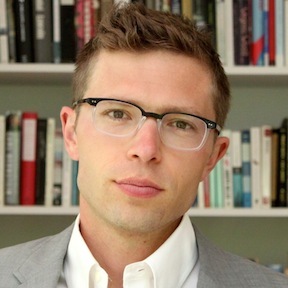 UPDATE: Jonah Lehrer has officially resigned from the New Yorker. Turns out that he has apologized for outright lying. Copies of his book “Imagine” are being recalled by the publisher as we speak (very expensive and arduous process). Perhaps a follow-up blog post is due to be written. In the meantime, here is a link to a NYTimes article which discusses the current updates on the situation. His name is Jonah Lehrer. He is thirty years old – and he’s somewhat of a celebrity in the world of science writing. As former undergraduate researcher in Eric Kandel’s lab at Columbia University, he began first researching and reading – then writing about science. His blog The Frontal Cortex quickly gained popularity and it was only a matter of time before it grew to be a regular section at the popular science magazine Wired. You may have also heard him on the radio, as he is a regular contributor to the well-known science show: WNYC – RadioLab. In addition to blogging, he has three published books to his name (his most recent one entitled “Imagine: How Creativity Works”) and to top off his list of achievements, he was recently hired as a staff writer for The New Yorker (yes, THE New Yorker). At the rate he’s going, it seems there is nothing that can stand in the way of this young, ambitious science writer. Curious as to what Jonah’s response has been to all of this, I scoured the Internet only to find this statement: “It was a stupid thing to do and incredibly lazy and absolutely wrong.” Alright then, so is this really just a case of (self-proclaimed) laziness? In reading through all the criticisms of Jonah, one point that I did read in his favor was his willingness to accept and acknowledge when he’s made a mistake. His openness on this front will help any offended readers and fans, I’m sure, move past his infraction (at this point I am dropping the term self-plagiarism altogether). And his editor at The New Yorker, Nicholas Thompson, has decided to keep Jonah on staff (though all of Jonah’s pieces now appear with an Editor’s Note that acknowledges and regrets the duplication of material). Still, some readers are scratching their heads wondering what all this fuss is about. In response to the most recent article posted on the NYTimes, one reader writes: Yeah, you should never borrow from yourself! Hard to be upset about this. I myself haven’t written an original word since my first New York Times comment in 2004! and reader, Margaret, comments: I don’t see what the issue is. This seems like much ado about nothing (credit: Shakespeare). Well, there is certainly nothing like a bit of humor to bring us back to the real issue at hand, to remind us when we may have taken things a bit too far – and there’s no doubt, the situation has gotten a bit out of hand. Yet, as I read through the various articles and posts about the Jonah Brouhaha (my shorthand for this controversy) – I realized it’s going to be awfully difficult for me to completely align myself with the: “what’s the big deal?” sentiment. It would be nice, as a fan of Jonah’s writing and as an ambitious writer myself, to throw my hands up and say: “Oh well – it’s not such a big deal. What’s all this fuss about?” I almost wish I could say it’s much ado about nothing. Is it really nothing though? I’m not entirely convinced. So, perhaps to answer the question of this post: Is it possible to plagiarize yourself? I say: yes and no. That’s the problem with this term – it is entirely dependent on expectations and on context. And with regards to the Jonah brouhaha, I argue that this term is entirely unhelpful. It seems that many have used this loaded term, in part, to criticize Jonah for other issues they have been secretly harboring against him (he cherry picks research results, he simplifies scientific findings, he has made scientific errors in his writing, he’s too young to be this successful, etc) and I think that this detracts from the conversation at hand. The point is that Jonah (someone who recently wrote an entire book about creativity) has cheated himself and his readers somewhat by repeating himself in his writing. I agree with Wemple on this one – that’s bad, but it’s not so bad as plagiarism. In an interview with Colbert back in April (prior to this controversy) – you can witness a sad twist of irony and a bit of eerie foreshadowing: “You’re one of the contributing editors of Wired, you write for The New Yorker and the Wall Street Journal – you’re coming up with material all the time, so you’re one of the creative types, right?” To which Jonah replied, “well, I try.” Indeed he does – and he usually succeeds. So much so that he has become the target of a disproportionate amount of fury. Let it go, people. He’s a talented writer who makes neuroscience accessible and engaging for many. He made a mistake and he apologized. Let’s move on. P.S. Thank you to our very own, Ling Wong, for the tip-off/idea to blog about this! I had great fun reading all sides and exploring a pretty complex issue! Would love to hear thoughts/feedback. There were SO many interesting talks this morning…I’m pretty sure all of us are still “digesting” the concepts and implications of the ideas discussed. Keep your eye out for more posts. I’ll be more comprehensive later (took good notes!). Before took the break for lunch, we ended the first half of the conference in the best way possible: with poetry. 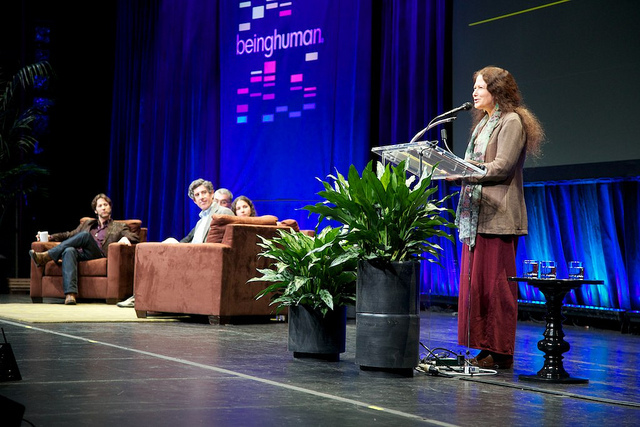 Jane Hirshfield walked up to the podium after a morning spent discussing: our multiplicities, our complexities, our illusions and delusions, our interconnectedness…all part and parcel of what it means to “be human”. One word we left out of the mix, she said – was wildness. We are endlessly interesting creatures after all – and even our seemingly rational behaviors are at times inherently irrational. We don’t always understand why we do what we do nor do we always have conscious access to our unconscious experiences. Yet, we are here. We live on. We muddle through this existence … and we do so strengthened by the bonds of love we share with one another. The first-ever International Symposia of Contemplative Studies (ISCS) began in Denver, Colorado on a dark and stormy afternoon. No, really – it did. As Jon Kabat-Zinn rolled up his sleeves and sat down on a cushion to lead us into meditation prior to offering us his opening talk, the room filled with the sound of silence and rolling thunder. Considering that the room was full of individuals who had just flown in from all over the country (and abroad!) it was a great way to call for everyone’s presence and attention. Jon-Kabat Zinn is a name that likely conjures up a host of associations, especially for those in the contemplative research community. He is most well known as the founder of Mindfulness-Based Stress Reduction (MBSR) – a complementary medicine program that includes body scans, breath-focused meditation and a wide range of other exercises aimed at increasing self-awareness and decreasing stress in daily life. I, myself, attended a 12-week MBSR course held at the National Institute of Health (NIH) taught by Dr. Rezvan Ameli and Tom Goddard in 2009 and greatly benefited from the experience. I respect and appreciate Jon Kabat-Zinn and very much enjoyed his insightful comments at the 2012 “Being Human” conference. Yet I’m not here to write to you about MBSR. Nor am I here to write about how much I respect Kabbat-Zinn. I’m here to share with you all – especially those of you not present at this symposium – what it’s like to be here. Reporting to you from the front lines, if you will – and if I’m honest with my readers I will say that I was sorely disappointed by this first talk. Let me explain. First, my expectations: since it was the kick-off lecture, I expected that the talk would speak to the vision behind this gathering, the impetus behind this weekend, the hope for what these next three to four days will offer us. I expected that the talk would provide us with a framework. Please note also that this is the first time ever that this conference is happening. So not only was it the opening talk, it was the opening talk to an inaugural event. To be fair, Kabat-Zinn did attempt to call for recognition of how unique this gathering is – but it quickly slipped into a bit of nostalgia and maybe (though obviously sincere and heartfelt) effusive reflections on how far he and his colleagues have come. The rest of the talk simply felt disjointed. He spoke about Albert Einstein’s vision of expanding circles of compassion (love that quote, by the way), about taking care of the earth as a reflection on how we take care of ourselves, and even a digression on Michael Pollan and mindful eating. Each of these points was in and of itself a great platform to launch into a larger point about the importance of contemplative research. I was hoping he would make a point about the nature of this work and its importance for our lives as human beings. One point he did manage to spend more time on was the importance of clarifying our use of the term “mindfulness”. This word, he said, was created as a sort of “umbrella term” for the Buddhist equivalent of “dharma” – roughly defined as the set of teachings that serve as the very ground for cultivating greater self-awareness. “My nightmare,” Kabat-Zinn shared with us, “is that people think this is a concept that I’ve created.” Yet he was insistent that we consider “using the term more”. I’m hoping that what motivated this statement was his recognition that we ought to better define what “mindfulness” means. I should wrap this up by saying this much: in hindsight I am actually grateful that this was the first talk because it taught me something about myself. In monitoring my own personal reactivity to this talk, it’s clear to me how invested I am in advancing the quality of research that is done on such an important practice. At least I know even more deeply now – just how much I care and just how invested I am in this. As I once wrote in an email to my own dear Bay Area “Sangha“: “Essentially, I recognize that the curiosity that draws me to the meditation cushion and the curiosity that draws me to research are one and the same. I am committed to investigating this reality with an open heart and mind (both on and off the cushion!) As Pascal shared during our retreat – the beauty of the dharma is that it is essentially very investigative in nature. “Come and see for yourself”, the Buddha said. Ehipaśyika. That is what I am trying to do from every possible perspective!